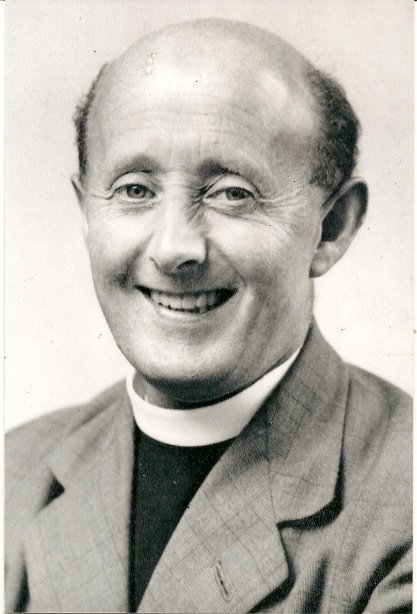 'Joe’ Johnson was the first Vicar of St John’s to be both vicar and Chaplain of the Diocesan Youth Centre. He was born in 1910, the son of Joseph and Mary Anne Johnson, so he was 41 when he took over his new job at St John’s after serving a Curacy at Holy Trinity, Carlisle, where he was also a hospital chaplain. Joe was a late entrant into the ministry having been ordained in 1948 (at the age of 38.) His first job was at Carr’s biscuit factory in Carlisle, but he did not enjoy the work and with help from his father bought a sheep farm in Bewcastle. 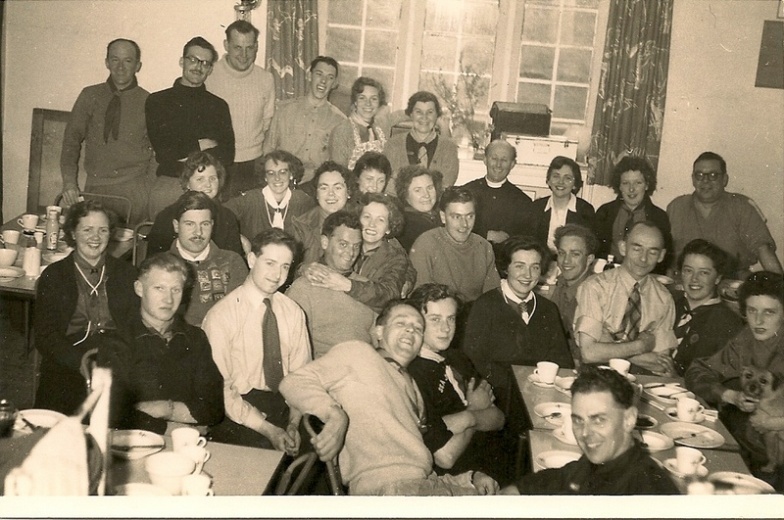 In 1942 he married Margaret Winifred Bell, and by the time he came to St John’s they had two daughters, Anne and Susan, and a third child, a son Hilary St John who was born on 3 April, 1951, very soon after the family arrived. An obituary at his funeral in 2006 spoke of his abilities as a preacher, a man who visited his flock, and, as a former farmer, one who could gather support from the farming community. This impression of his ministry and person still survived in the parish years later among those who knew him. He had a love for people, a keen sense of humour and an infallible memory. He loved story-telling, especially in Cumbrian dialect. Mr Johnson achieved much at St John’s and clearly loved the parish. It is difficult to know why he left, and his children are to this day unsure quite why he did so, since he had been well liked and had made a great success of his joint work as vicar and chaplain. Soon after he left St John’s, he was saddened by the death of his wife Margaret in 1961. It was a comfort to him that he met and married Mary Bateman in 1962. A family group outside the church includes his wife and three children, c. 1956. His move to Calderbridge was to prove to be his “life’s work” however, for here he immersed himself in the life of this rural community and finally, after 21 years as vicar, in retirement he continued to live there. He now began to take more and more interest in the needs of the elderly. He was instrumental in obtaining the former village school and overseeing its conversion into four flats for elderly people of the parish. This was followed by his pioneering work with the Abbeyfield Homes in Whitehaven, firstly in a terraced house for four opposite the church at Hensingham, and then in the appropriately named Johnson House in Hillcrest Avenue. He became an expert on the history of the ruined Calder Abbey which was in Calderbridge parish. He remained active in Calderbridge parish after his retirement taking weddings, baptisms and funerals at the request of families, and assisting the incumbent by taking services when asked. He died at the grand age of 96 on April 5th 2006, and his funeral was held in St Bridget’s Church, Calderbridge. Over 300 people attended the service, and his burial was at the old St Bridget’s church near Beckermet.